In aviation, there is more then just saying "A". To avoid confusion, an aviation alphabet was created so that certain letters would not be confused with others. This has helped with safety and the well being of passengers, aircraft, and the crew. Below is the list as to how each letter is said as recognized by the ICAO. Letter followed by the ICAO identifier name. 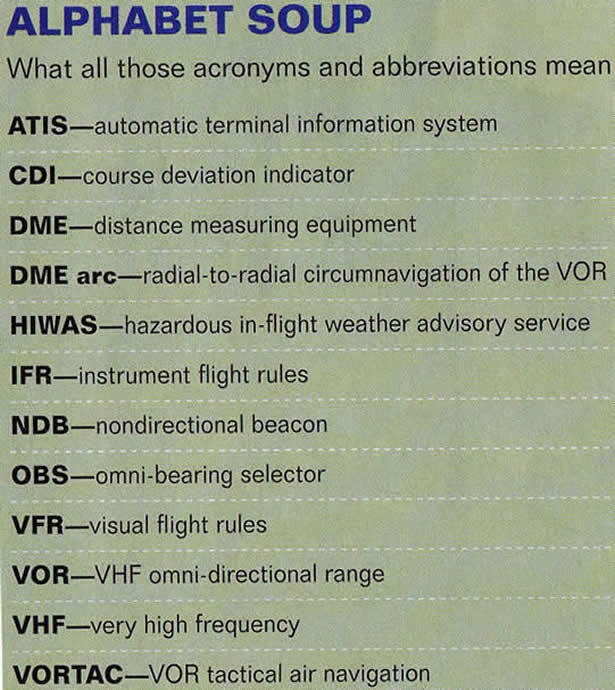 WHAT DOES ATIS, CDI, DME, DME arc, HIWAS, IFR, NDB, OBS, VFR, VOR, VHF AND VORTAC AVIATION ACRONYMS MEAN?